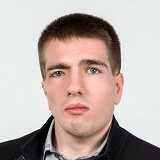 Klemen Grm is a junior researcher at the Faculty of Electrical Engineering (FEE) of the University of Ljubljana (UL). Klemen was the receipient of the Zois scholarship during his undergraduate studies at the FEE, UL from 2011-2015. He received his M.Sc degree from FEE, UL in 2015. He was awarded the Prešeren award for his M.Sc. thesis entitled “A Deep Neural Network for Face Authentication”. His research focuses on different areas of computer vision, image processing, pattern recognition, and biometrics. He is a member of the Slovenian Pattern Recognition Society, a member of the International Pattern Recognition Association (IAPR) and a student member of IEEE. In 2016, he developed a facial recognition system that ranked second at the ICB-2016 competition on face recognition (International Challenge on Biometric Recognition in the Wild – ICB-RW, http://icbrw.di.ubi.pt). Walter Scheirer, Patrick Flynn, Changxing Ding, Guodong Guo, Vitomir Štruc, Mohamad Al Jazaery, Simon Dobrišek, Klemen Grm, Dacheng Tao, Yu Zhu, Joel Brogan, Sandipan Banerjee, Aparna Bharati, Brandon Richard Webster: Report on the BTAS 2016 Video Person Recognition Evaluation. Proceedings of the IEEE International Conference on Biometrics: Theory, Applications ans Systems (BTAS), IEEE, 2016. Klemen Grm, Simon Dobrišek, Vitomir Štruc: Deep pair-wise similarity learning for face recognition. 4th International Workshop on Biometrics and Forensics (IWBF), IEEE 2016. Žiga Stržinar, Klemen Grm, Vitomir Štruc: Učenje podobnosti v globokih nevronskih omrežjih za razpoznavanje obrazov. In: Proceedings of the Electrotechnical and Computer Science Conference (ERK), Portorož, Slovenia, 2016.